25 Under 25 youth leaders in Indian Country Announced – UNITY, Inc. 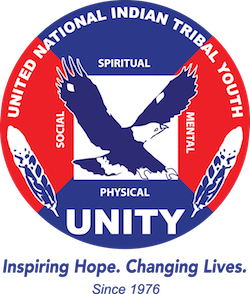 UNITY has announced the third class of its “25 Under 25 Native Youth Leaders” national recognition program that honors Native American and Alaska Native youth. The program, which launched in 2014 and is awarded every other year, recognizes and celebrates the achievements of Native youth leaders under the age of 25, who embody UNITY’s core mission and exudes living a balanced life developing their spiritual, mental, physical and social well-being. “So many of our Native youth are doing amazing work in Indian Country. UNITY’s 25 Under 25 program is one way of recognizing these young leaders and acknowledging the passion they have to improve their communities. There was an overwhelming amount of applications from outstanding youth leaders across the nation. We offer our congratulations to the honorees and wish all nominees the very best,” said Mary Kim Titla, Executive Director for UNITY. The honorees will be recognized in front of peer youth leaders at the National UNITY Conference, which takes place July 5 – 9, 2018 in San Diego. In addition to the recognition, honorees will be offered the opportunity to receive hands-on learning experiences designed to build on their individual achievements. Applicants were judged by an independent committee who scored applications based on the strength of the application, nomination form, resume, supplemental information, and potential to impact Native America. The National UNITY Conference is expected to attract nearly 2,000 attendees from across the country, representing Tribal and urban communities. The 5-day conference will focus on Native American and Alaska Native youth leadership development and feature renowned keynote speakers, youth trainers, more than 25 workshops, fitness activities, exhibitors and Native American vendors, a Career & College Expo, the UNITY Gala, and much more. Click here to register now.